If you are local to the Lake Norman/Mooresville area, I offer FREE Pickup! Text or call Jill at 704-425-8501 or email with your order and phone number and we will arrange pickup. DO NOT order through the website for free pickups. Made with 100% natural rolled oats, 100% organic unsweetened cocoa , organic almond milk, non GMO peanut butter, butter, brewers yeast, organic gluten-free flax seed & just a hint of fenugreek. These cookies are chocolaty good!! Great treat for mom and baby! Package of 12 for $24. That’s only $2 /cookie and way less than the amount of $$ you would be spending on formula . (costs less than a protein bar plus it’s a cookie with a purpose!!) And OH… so much healthier for both of you!! Order 3-4 dozen at a time and save even more $ on shipping costs per bag. Plus with extra on hand you don’t have to worry about running out! DIRECTIONS: Start with 2 cookies/day for about 5 days then 1-2 as needed to maintain or boost your supply. Many moms see an increase in the milk supply in a few days. Continue nursing &/or pumping 8x/day will also help to increase your milk supply. Quick tip* because they are high in fiber it is helpful to drink a glass of water /milk with them. Treat yourself to some Milk Made Cookies today!! Contains peanuts. Does NOT contain eggs, wheat, soy, artificial ingredients or preservatives. May be kept in the pantry and Best if consumed within 2-3 weeks. Refrigerate or freeze for longer use. 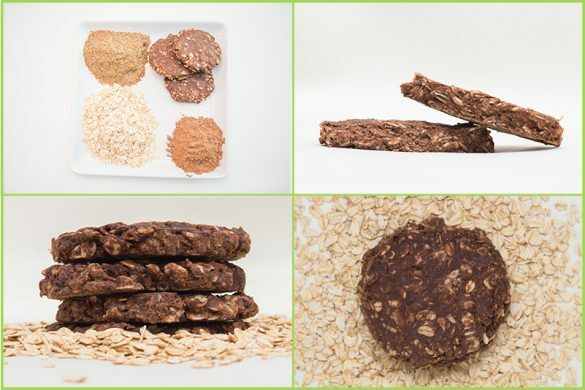 Shipping info: Milk Made No-Bake Cookies and Granola are made fresh when ordered and will be shipped within 2-3 days. Shipping is by USPS 2-3 day priority mail & comes with tracking and insurance.